Ale Choinki plantations were established in 2001. 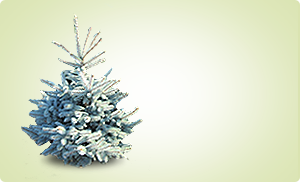 We are one of the leaders in the production of Christmas trees in Poland. The plantations are located in the areas with favourable climate of the Baltic coast, conducive to growth of Christmas trees, in Orzeszkowo, 40 km away from the coastline. Today, our Christmas tree plantations occupy more than 150 hectares, and areas are systematically extended. From 2014, we have been acting as an official agent for Poland of a Danish producer of seedlings. To visit the plantations please contact us beforehand over the telephone. Directions can be found here. All planting is performed using machines, which ensures equal distances between the Christmas trees, beneficial for their development. 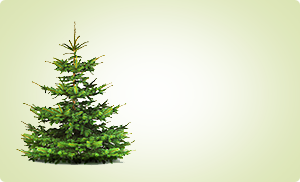 While growing, our Christmas trees are subjected to systematic nursing treatment, such as weed control, fertilization or shaping. High productivity of plantations is based on many factors, including skilled workers, modern machinery, and efficient system of packaging and transportation of the Christmas trees. Using special equipment, our trees are packed onto pallets, which are then placed on trucks. 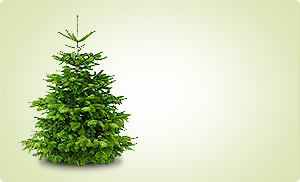 Our plantation trees sells live Christmas trees, mainly to wholesale and large retail customers. The prices are negotiated individually, and depend on the type (class, size), the quantity of trees, and additional services provided (e.g. drilling Christmas trees using Easy-Fix system, etc..) We are able to assist our clients in the organization of transport, because we have been cooperating with reliable partners in the forwarding industry for several years. Our Facebook profile presents what happens on our plantation, you will find advice on how to look after plants in gardens and on balconies. Welcome to YouTube to see how work is carried out on our plantations.